The USC Dornsife College of Letters, Arts and Sciences has recruited leading chemist Valery Fokin PhD ’98 to join its faculty. He will begin in the Department of Chemistry this fall. Valery’s brilliance as a chemist and eagerness to collaborate with ambitious researchers in other fields make him an ideal addition to our faculty. Fokin joins USC Dornsife after serving as a member of the Department of Chemistry at The Scripps Research Institute in La Jolla since 2000. Fokin is best known for co-discovering Copper-Catalyzed Azide-Alkyne Cycloaddition, recognized in the field as the iconic example of “click chemistry.” This term refers to the method of finding the simplest and most reliable chemical reactions to build molecules that can be used in the testing of pharmaceutical drugs. The goal of Fokin’s work is to discover the molecular underpinnings of human disease by identifying features that set it apart from healthy physiological processes. Using this knowledge, he collaborates with biologists, biomedical engineers and medical professionals to develop new diagnostic methods and treatments. His work provides innovative bridges between molecules important in chemistry and biology. In addition to his laboratory at Scripps, Fokin currently directs the Laboratory of Synthesis and Catalysis at the Moscow Institute of Physics and Technology in Moscow. He earned a Ph.D. in chemistry from USC Dornsife, after completing his undergraduate studies at N.I. Lobachevsky University of Nizhny Novgorod, Russia, and Calvin College in Michigan. Fokin has authored and co-authored more than 100 publications and is an inventor on 12 patent applications. 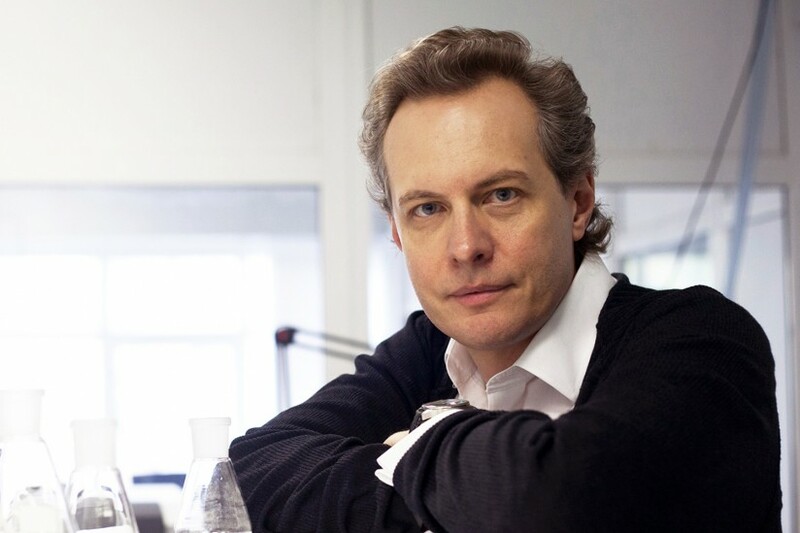 In 2011, Thomson-Reuters ranked him among the world’s top 10 chemists of the decade. Fokin will play an integral role in guiding The Bridge@USC, an initiative led by Provost Professor of Biological Sciences and Chemistry Raymond Stevens, to unite the best minds in chemistry, biology, medicine, mathematics, physics, engineering and nanosciences — as well as experts in such areas as animation and cinematography. Together, their aim is to build the first virtual model of the human body at the atomic scale that can be used to test possible cures and treatments for a wide range of diseases and conditions. 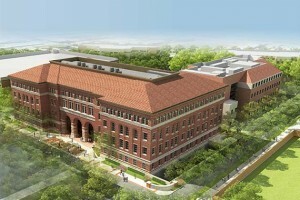 Fokin’s laboratory will join those of Kay, Stevens and others in the USC Michelson Center for Convergent Bioscience upon its completion in 2017. 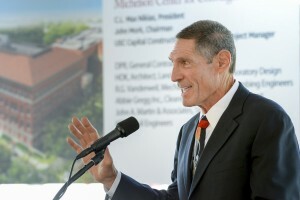 The new building — made possible by a $50 million gift from retired orthopaedic surgeon and philanthropist Gary K. Michelson and his wife, Alya Michelson — will provide 190,000 square feet of space for scientists and engineers to work together to tackle grand challenges in biomedicine. Fokin has already begun to collaborate on research with Stevens; Vadim Cherezov, professor of chemistry; and Vsevolod “Seva” Katritch, assistant professor of biological sciences. They are using Fokin’s methodology to deliver new chemical probes — substances that inhibit protein function — to help them better understand receptors in the human body. “These chemical probes have the potential to become novel scaffolds for the next generation medicines,” Stevens said.